Curious to know how artists look at houses, Korrie Besems made an exhibition featuring works of art that give a different or a deeper meaning to the concept of house, apart from a place to live in. (T)HUIS explores the relation between home and house in various ways; sometimes picturing it in a theatrical manner as a frightening shell, petrified greed, a symbol, an investment, a metaphor, a playground or a memento. Korrie Besems lived in Tilburg for 29 years, and until 2008 she had her studio in the building were PARK is housed now. 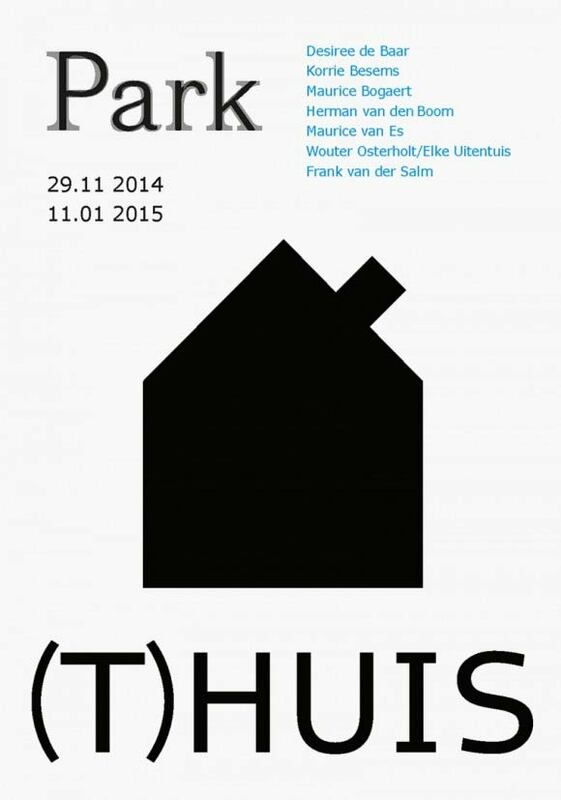 Opening on Saturday 29 November 4 pm by Marcelle Hendrickx, alderman for culture city of Tilburg. Finissage of this exhibition on Sunday 11 January 2015, also PARK's New Year's Reception, including a dance performance. For more information go to 'New Year's Reception' in 'archive 2015'.